Tenuous link coming up! But I can’t help it, I’ve been captured by this cliched olympic spirit that everyone’s been banging on about and am loving every minute of it. Not only am I getting to witness some of the greatest athletes to have walked this earth, I’m getting to watch them in my own back yard, East London. If the exploits of these incredible ‘super humans’ haven’t left you impressed then surely, the fact that London has pulled off the greatest show on earth must give even the biggest cynics a small sense of pride. I just feel if the riots last year exposed some of the worst things about our country then these games have helped celebrate the very best things. So as David ‘Ram Jam’ Rodigan would say….back to the music! Reggae the sound of Jamaica has of course helped shape some of London’s most iconic sounds, from jungle to, garage, to grime, to dubstep. 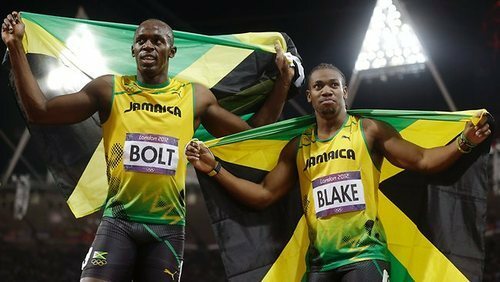 So it’s only fitting that we pay tribute by first saluting the Jamaicans of the moment Usain Bolt and Yohan Blake for their incredible feat last night and tipping our caps on this 50th Independence day to Jamaica and the glorious music it has provided us with over the years. I couldn’t pick one tune, so instead I’ll leave it to one of the greatest champions of Jamaican music to take you on a staggeringly wonderful Jamaican musical journey….